Posted on November 13, 2014, in Uncategorized and tagged Children, Doodlemum, Hair, Humour, Illustration, Life, Pen and Ink, Sketchbook. Bookmark the permalink. 7 Comments. Wow, Evie, you look beautiful! 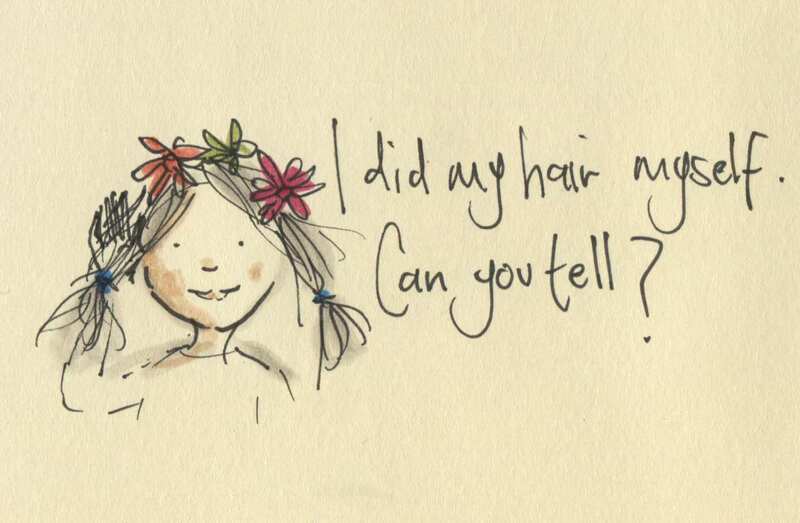 Flower crowns are fabulous- for fairies, princesses, pirate girls or even old hags like myself! They’re bound to make you smile, but you have the biggest, brightest smile, and you and your clever Mum have given me a lovely cheery start to my day, thank you. How lovely! Its so cute. u did it yourself cool like the flowers.